A career in healthcare is rewarding and highly respected. 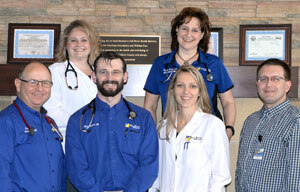 Fall River Health Services values their staff and their "personal" touch that each and every patient receives. Employees are the "front line", providing the personal contact with patients necessary to maintain quality patient care. Skilled, experienced employees ensure a foundation for consistent, compassionate care for every patient, while also serving as mentors for new staff.